Admittedly, there isn’t much ‘news’ in my slight rant about Gamestop’s inconvenient business practices, but the rest of it is mostly on point, mostly. We’ve got stories of titles great and terrible this week, dig in! 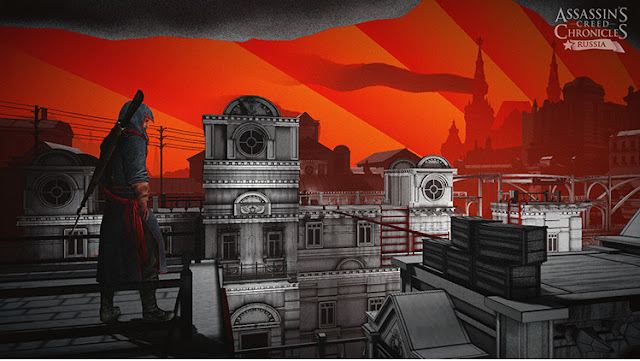 The side-scrolling Assassin’s Creed Chronicles titles do in fact still exist, India will land January 12th, and Russia February 9th, on the PS4, Xbox One, and PC. 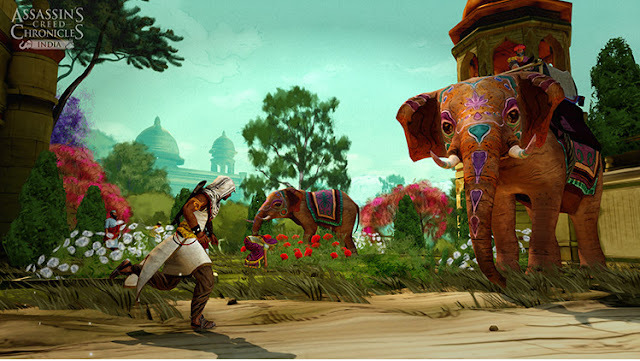 Alarmingly, the trilogy will make a leap of faith onto the PS Vita on April 5th. I heard some pretty galling stories about the technical state of the first Chronicles title, China, when it released in April this year, a condition that’s sadly afflicted many of Ubisoft’s titles over the last couple of years – I’m betting the re-released Zombi(U) was probably alright though. While Assassin’s Creed Syndicate didn’t burn down my metaphoric barn, it did remind me that I really like the Creed, at least at times, so I may have to bite the bullet, because India seen above, looks gorgeous. 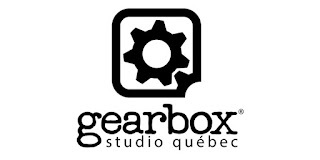 Publisher Bethesda, best known for Fallout 4, The Elder Scrolls V: Skyrim, and Rage, announced the existence of their new studio in Montreal, Quebec. The team is currently made up of more than 40 developers, with a mix of console and mobile development skills, it’s helmed by Yves Lachance, who was previously of Behaviour Interactive; Lachance adopted many roles including studio head in the decade he spent with the company – but never an assassin. 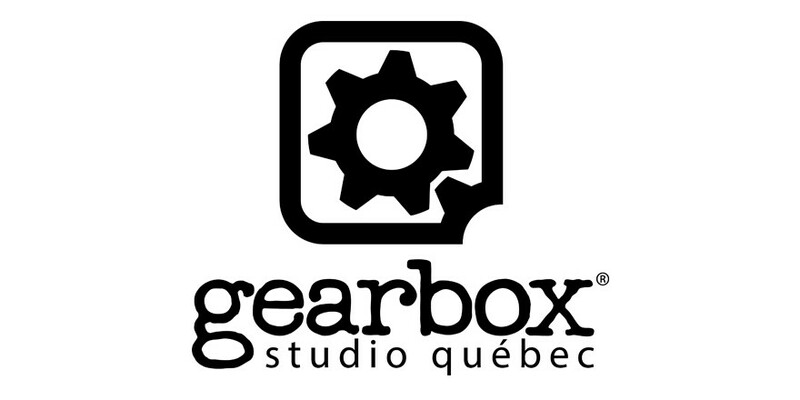 Also in Quebec, Gearbox opened new studio that will be working on an inaugural triple-A title, through 2016 at least. The studio will be co-led by Sebastien Caisse, director of operations, and Pierre-Andre Dery, creative director. Caisse has held management positions at animation and media companies that have worked with publishers such as Sony and Microsoft, Dery was previously art director at Activision, he worked on the Skylanders franchise among others. Speaking to Eurogamer, Derek Carol, senior designer at Bungie confirmed that Destiny’s DLC plan has been side-lined in favour of an ‘event-based model’, such events include the Sparrow racing that’s currently available for the next couple of weeks. These events are produced by the ‘live team’, which are in some way funded by the sales of microtransactions. Kotaku’s Jason Schreier published a piece back in October revealing the now confirmed alteration to Destiny’s future, linked below. It’s tricky situation; the two expansions The Dark Below and House of Wolves launched in the year following the base game’s release, and they weren’t great, they were small and by the numbers. The Taken King, the bigger ‘year 2’ expansion was far larger, and more expensive, unlike many I don’t think it turned Destiny into something spectacular, but it certainly improved some areas of the experience. On one hand whatever launches around September next year, presumably Destiny 2, will benefit from the main development team’s full attention. 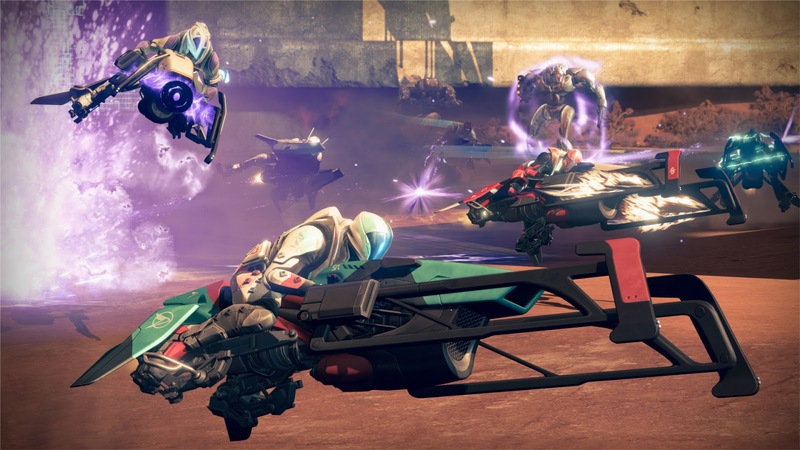 However, the two first year expansions gave me a reason to play the game far more than I should have, and I’m not convinced Sparrow races and Crucible events will do the same. The alien menace stirred on the XCOM 2 front this week, as Firaxis announced they are doubling down on soldier customisation options, specifically the options you can play for. Pre-ordering will net players the ‘Resistance Warrior Pack’, unlocking more outfits and the like, as well as a ‘Survivor of the Old War’ recruit. Anarchy’s Children, a rebellion-themed pack launches in Spring 2016. Alien Hunters, focusing on an “elite alien hunting unit” releases in Summer 2016. Shen’s Last Gift, will feature a new soldier class, unique upgradable weapons and armour, to be delivered through a narrative-driven mission, also releases in Summer 2016. And finally, they unveiled a new trailer called ‘Retaliation’, which you can catch below. Another dark dystopian future Cyberpunk 2077 was back in the news, as rumours began to circulate of a late 2016 release date. 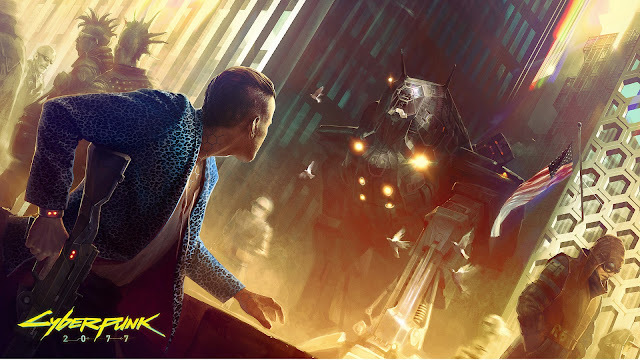 Cyberpunk is being developed by CD Project Red who released The Witcher III Wild Hunt earlier this year, the developer had previously stated it wasn’t going to talk about its in-development title until 2017 at the earliest. These 2016 rumours originated from Gamereactor Germany, from a “source close to the company”, along with talk of PlayStation 4 and Xbox One versions, previously only PC was confirmed. In the past CD Project Red representatives have made numerous claims as to huge scope of the game, far bigger than even The Witcher III. So while Gamereactor’s source may be solid, the date just sounds crazy given the development length of The Witcher III. "There's a sizable team still working on [The Witcher 3: Blood and Wine], but an even more sizable team has actually been working on Cyberpunk for quite a while right now." Witcher’s Blood and Wine DLC is due to release sometime in 2016. (Via Gamespot , Gamereactor Germany, GamesRadar). Before we get into the meat of this one… Gamestop, owners of Game Informer, refuse to acknowledge how the internet works and so block certain countries from access their online store, meaning I can no longer pickup Game Informer digital magazine. It does appear that I can now access the Game Informer website, which was also blocked for the longest time, fortunately they’re happy to republish magazine content online! In an interview with Persona 5 director Katsura Hashino, Game Informer got all the hot scoops, here’s the rundown. The protagonist and his teenage companions don’t believe they have a place in society, they find a ‘Isekai-Navi’ – your guess is as good as mine – and enter another world to steal “malicious intent from others' heart”, and become ‘phantom thieves’. While the protagonist is as brooding and smooth as previous Persona player characters, Katsura described him as “something of a roguish antihero”. He went on to point out that in Persona 3 and 4, the player was tasked with solving a mystery, in 5 though, the protagonist and his companions are out to claim a sense of identity and reform society, which doesn’t sound as clean and altruistic as say, outing a serial killer. Check out interview in full by following the link below.